Every now and then, the opportunity arises to build something different. 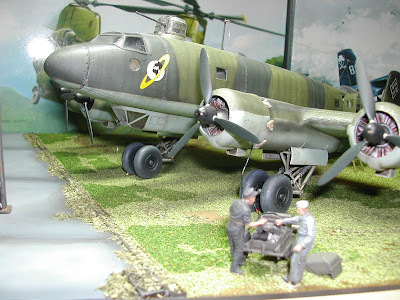 Last year such an opportunity came up when I was asked to put together a diorama with Trumpeter's Focke Wulf as its main feature. I was given considerable freedom to do whatever I felt was appropriate to the scene, for which I was very grateful. 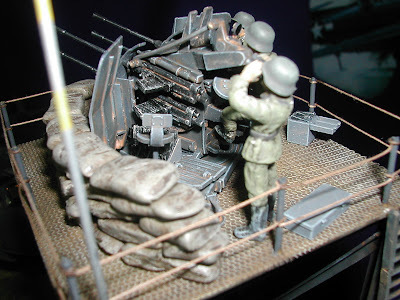 Dioramas are often about spontaneity. Ideas hit as you are working and are usually the better for that. 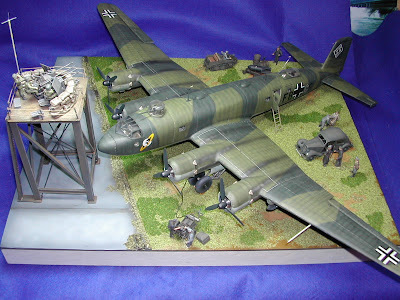 One of my better ideas was the addition of a scratch-built flak tower featuring the new Tamiya 2cm flakvierling. 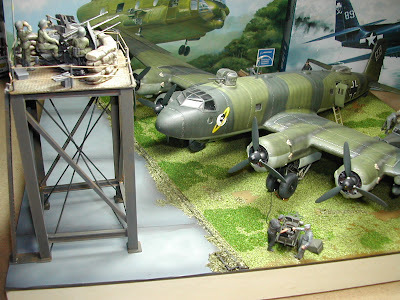 As with any complex build there were many difficulties. The condor itself was not straightforward; getting the wings on, for instance, would try the patience of a saint. Adding electrics involved three-way emailings and two continents. But construction was not without its rewards, as the photos will show. 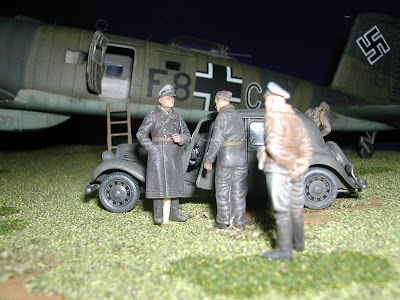 The diorama now resides with its new owner, who quite possibly exhibited even more patience than I did and who is finally happy to have his diorama, and that's what it's all about.